ST. PETERSBURG – Omega Psi Phi Fraternity and the chapter’s non-profit, Eta Rho Education Services, were honored to have Arthurene Williams and family present at the Lew Williams Center for Early Learning Wed., Aug. 27. 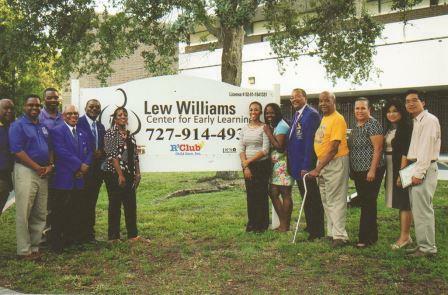 The new center that opened Aug. 18 served as the backdrop for the presentation of three $500 scholarships given by the Williams family in honor of Lew Williams, a long time educator and Pinellas County School Board member. Williams, a member of Omega Psi Phi Fraternity and Eta Rho Chapter, died in December 2011, while still serving on the school board. 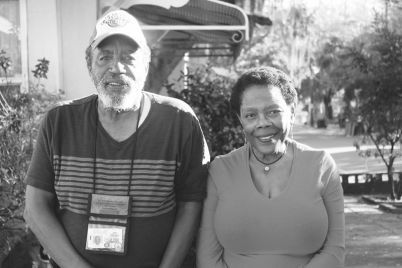 It is the wishes of his family that the Lew Williams Educator Scholarship named for him be administered through Eta Rho Education Services in his memory. Scholarships are awarded to college bounded high school seniors served by the fraternity. This year’s scholars, already at their respected schools of higher education, were represented by their parents. The awardees are Jayson Grant, Florida State University, Jalen Williams, University of Utah and Clarice Lee, University of Miami. 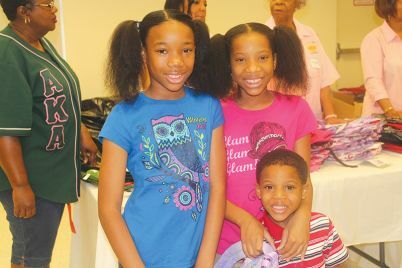 Each student participated in the chapter’s Talent Hunt Program and graduated in the top percentile of their class. 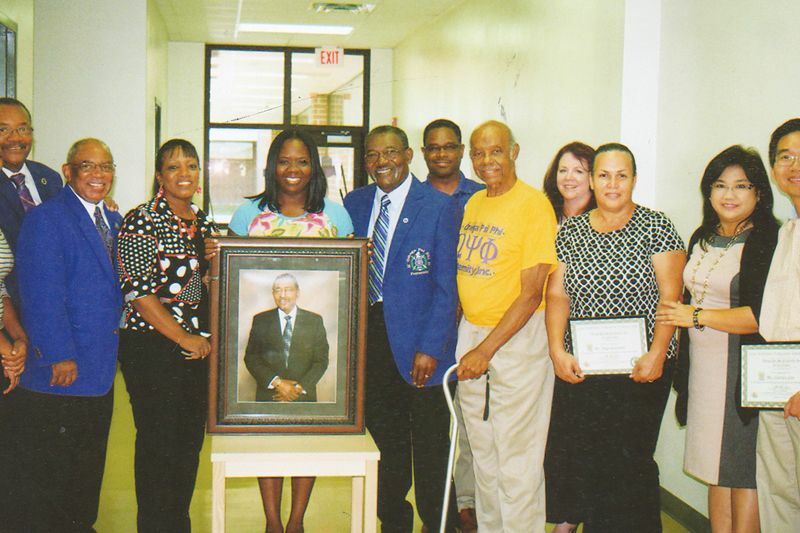 The chapter Basileus, Brother James Jackson, Jr. and the foundation’s Executive Director, Brother William “Bill” Puller along with several members of the fraternity expressed appreciation to the Williams family for their generosity, and to the families of the students for their continued support throughout the year. 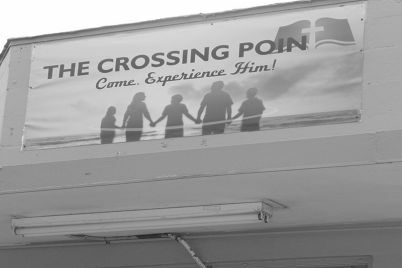 Previous Previous post: Pinellas County School system forces waive of children’s civil rights? Next Next post: How do I protect myself financially?